In November 2014, Florida voters failed to pass Amendment 2 which would have legalized Medical Marijuana in Florida. The vote failed to reach the 60 percent threshold needed falling short by just 3%. Prospects for passing the Amendment were good at the outset with 88% of Floridians supporting legalizing marijuana use for necessary medical purposes. 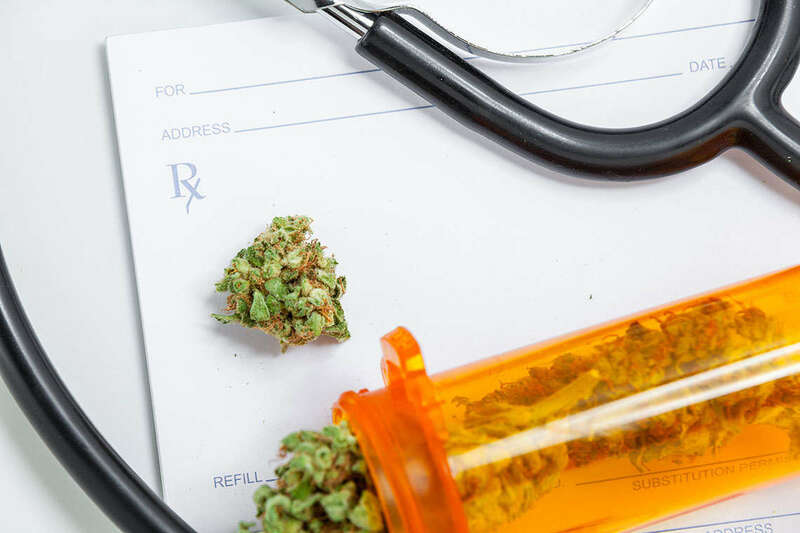 Part of the reason for the defeat is due to a large influx of out of state money attacking both the proposal itself and John Morgan, one of medical marijuana’s biggest supporters. In addition to owning his own personal injury law firm, Morgan is also chairman of United for Care, an organization working for sensible marijuana policy in Florida. The Washington Post reported in 2014 that the majority of the funds for the campaign to defeat Amendment 2 came from out of state. These out of state funds were largely from Las Vegas billionaire and Republican mega-donor Sheldon Adelson, who supplied roughly 85% of the out of state money. Not only was the defeat movement well funded, the actual campaign combined blistering attack ads on both the movement itself and John Morgan personally. Adelson habitually spends huge dollar sums to influence votes and political campaigns. Over the past few election cycles he has bought influence in the Republican Party through what has become informally known as the Adelson Primary. For instance, in 2014 candidates such as Chris Christie, Jeb Bush, and John Kasich flew to Las Vegas to lay out their visions for the presidency hoping to receive his support. It is estimated that Adelson spent as much as $150 million dollars in the 2012 election cycle donating both directly to political campaigns and also to super PACs and other political groups in an effort to defeat Amendment 2. Now, John Morgan and United for Care have set their sights on 2016 and want to show that “Florida is not for sale.” In addition to collecting hundreds of thousands of signatures to get an Amendment similar to Amendment 2 on the ballot in 2016, John Morgan is working to ensure that the new amendment will not be defeated by out of state money. 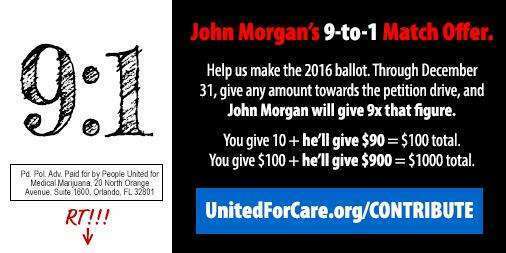 Morgan has pledged from now until December 31st to match all contributions to United for Care at a 9 to 1 ratio.